An early Follett title and a good one! Eye of the Needle – Joyce's mystery and fiction book reviews with some non-fiction too! 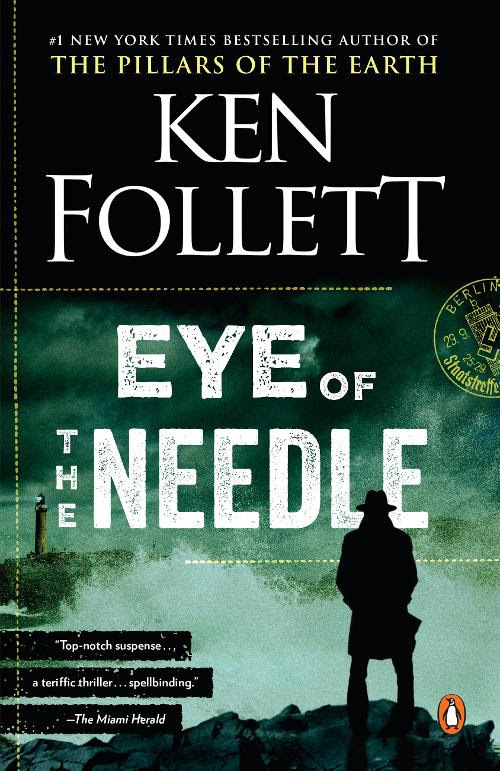 From Publishers Weekly an “absolutely terrific thriller, so pulse-pounding, so ingenious in its plotting, and so frighteningly realistic that you simply cannot stop reading.” Eye of the Needle won the 1979 Edgar Award and was adapted into a 1981 movie of the same name starring Donald Sutherland. I read this novel when it first came out many years ago and literally could NOT put it down. If you have not read it, I highly recommend this one for those of you who like WWII spy stories. It was riveting. Oh, I’d not heard of this one, Joyce! I’ve always wanted to read a book from Follett- or two or three, and I own several, but not this one. Thanks for the rec! When I read it, I found it to be very suspenseful. Let me know what you think if you give it a try. I read this in the early 1980s and remember it as a good one!